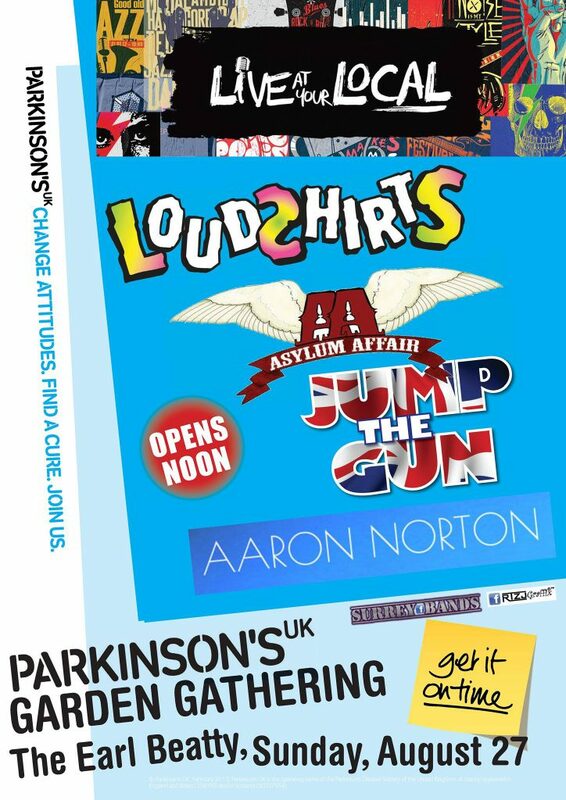 This Sunday JTG will be playing at Parkinson’s Garden Gathering at the Earl Beatty in Motspur Park along with Aaron Norton, Asylum Affair and the Loudshirts. We will be on at 5pm, so get there early and help us raise money for Parkinson’s UK. ← JTG and LDC – A Perfect Partnership!